ATTN: transient digital native Jews, the ever so talented Ben Schachter has come up with another brilliant Jewish pop culture piece, Pocket Tzedek. 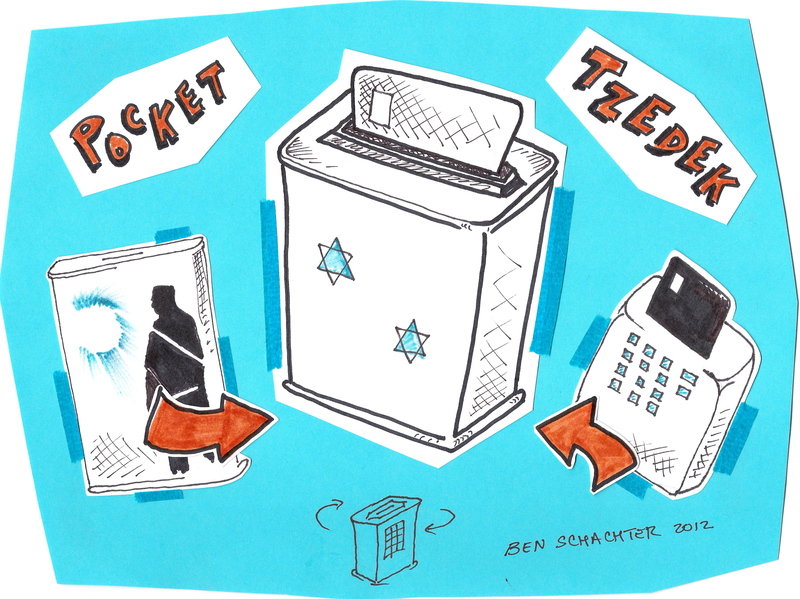 Schachter’s design, “Pocket Tzedek,” combines wireless technology – a debit card reader – and a traditional “pushke,” or piggy bank. Instead of dropping in coins, the donor dips his card. Find Schachter’s design under the web interactive category on the third page at www.wheredoyougive.org/voting and vote for him every day until April 1. Wow – Great post vote for me too! I’m 20 votes behind the lead. « Digital. Creative. Conceptual. Think Tank Team. You are currently reading Schachter’s Pocket Tzedek at Maya Talk.